Editors with the Paris-based publisher Revue Noire, Fall and Pivin have put together a volume that will inspire and inform experts and neophytes alike. 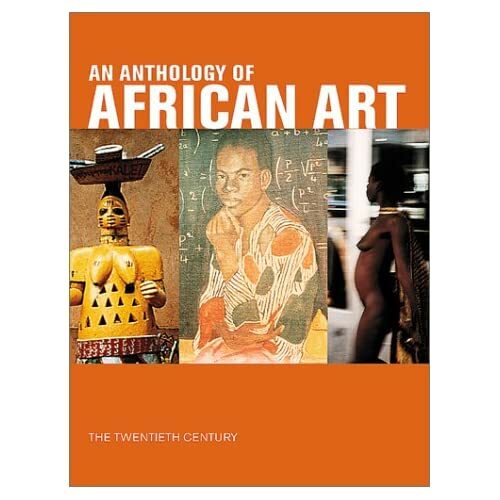 Including 500 color and 51 black-and-white images, this book provides a depth and breadth no other volume can boast of on the subject of contemporary African art. Breathtakingly thorough and overwhelming in its comprehensiveness, this volume contains a representative selection that covers all genres and reaches into every region of sub-Saharan Africa. The undertaking is enhanced by the penetrating insights of several distinguished writers, whose masterly essays recall history, provide context, and interpret uniquely African phenomena while also revealing the universality of selected works, presenting them as expressions of a modernity that is concretely African but has roots in the interconnectedness of all humans. The brief descriptions and histories accompanying each work are invaluable guides. Recommended for public and academic libraries and indispensable for any African studies collection. Edward K. Owusu-Ansah, CUNY Coll. of Staten Island Lib. Copyright 2002 Reed Business Information, Inc.
N`Gone Fall is the editor of Revue Noire. Jean Loup Pivin is the cofounder and director of publications of Revue Noire. Edited by Jean Loup Pivin & N`Gone Fall. Essays by Francisco d`Almeida, Marie-Helene Boisdur de Toffol, Joelle Busca, Sabine Cornelis, Elsbeth Court, N`Gone Fall, Etienne Feau, Till Forster, Joseph Gazari Seini, Joanna Grabski, Sigrid Horsch-Albert, Bennetta Jules-Rosette, George Kyeyune, Alexandra Loumpet-Galitzine, Marylin Martin, Elikia M`Bokolo, Adriano Mixinge, Simon Njami, Sylvester Ogbechie, Richard Pankhurst, Blaise Patrix, Thierry Payet, John Picton, Jean Loup Pivin, Sunanda K. Sanyal, Konjit Seyoum, Ousmane Sow Huchard, Yvonne Vera, Jean-Luc Vellut, Sue Williamson and Gaving Younge.